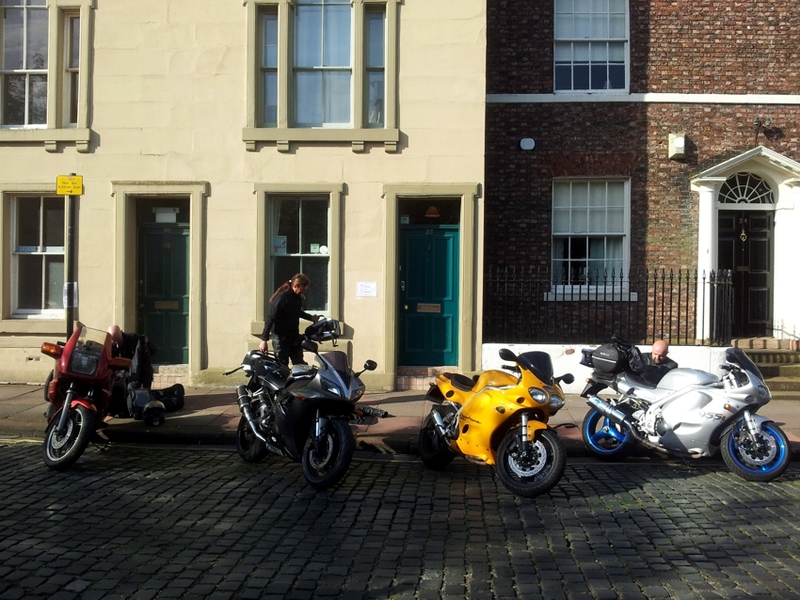 Bikers Hit Carlisle City Hostel! We had a few guests in last week on their way up to Scotland with some amazing bikes! Here they are outside Carlisle City Hostel gleaming in the morning sun!